Looking to hire reliable specialists to clean your gutters and downpipes at a reasonable price? If so, you are at the right place as our company’s speciality is gutter cleaning – we cover SW15, but can service customers in the surrounding boroughs upon request. There are many gutter cleaning contractors in the area, yet we are among the few to offer customers a premium-quality service at budget-friendly rates, they can afford. You will greatly benefit from our team’s proficiency, experience, and passion for what they do. Don’t hesitate to take advantage of this offer – contact us now to discuss your requirements in more detail! We’ve got what it takes to clean your guttering system to perfection! We have carefully selected the members of our team to ensure they are experienced and dependable enough to service our customers. Each cleaner has gone through an adequate training allowing them to operate our vacuuming machines and extendible poles in a safe manner. Sometimes, accidents are impossible to avoid, but do not worry – our service is covered by a full public liability insurance for your peace of mind. 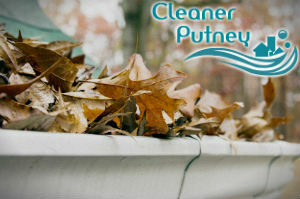 Our team always begins with a free evaluation of the gutters’ condition. Our telescopic poles can extend to up to twelve metres which renders the use of bulky, inconvenient ladders unnecessary. This way, you won’t have to worry we will ruin your flowerbeds and paintwork. Our experts have attached an on-board camera to the pole, so that they can easily take a peek inside the gutters and downpipes and identify blockages, if there are any. Our state-of-the-art vacuuming system is capable of unclogging even the worst blockages. You want to see the actual results? No worries! We can take pictures of your gutters and pipes’ interior before and after the cleaning session. 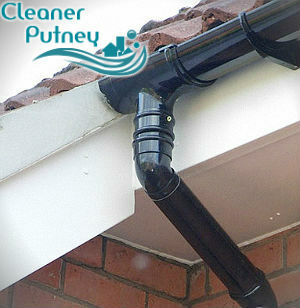 We have helped hundreds of customers in Putney, SW15, providing them with quality gutter cleaning services. Allow us to help you, give us a call!